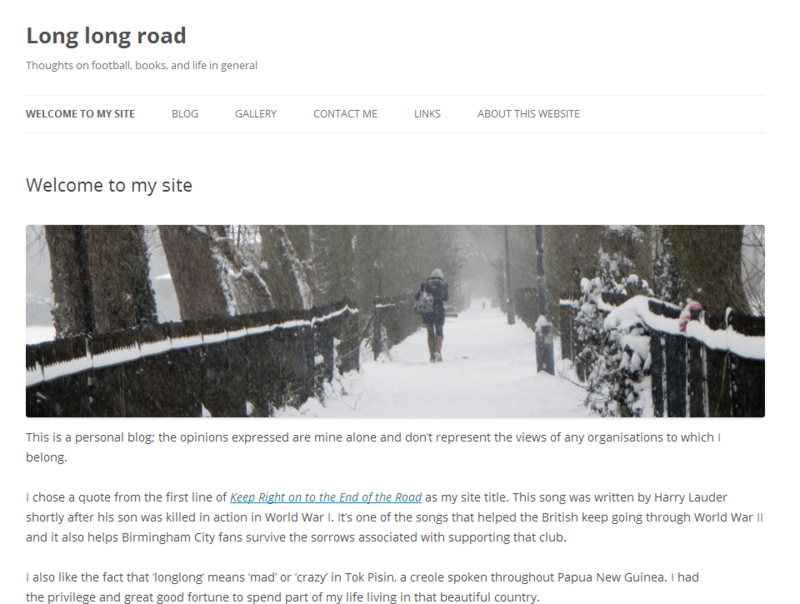 This entry was posted in Birmingham City FC, Football, Website and tagged AWCA, Birmingham City F.C., Ken Wheldon, Kumar, Website on February 24, 2014 by Puddleglum. Football is just a game. Football is not just a business. This entry was posted in Birmingham City FC, Football, Life in general, Website and tagged Birmingham City F.C., Football, Website on July 4, 2013 by Puddleglum. There are a couple of reasons why I haven’t written any new posts today. First, Birmingham City’s season has ended and I’m trying to think of other things. Second, I’ve been trying to work out how to put a table on my site and it took a long time. (I did start this blog so that I could learn a bit about WordPress.) If you want to see the table I created, go to the new Links page. This entry was posted in Website and tagged Website on May 7, 2013 by Puddleglum. Which player scored an equaliser in a cup replay at Anfield that earned a penalty shootout in which Birmingham failed to convert a single penalty? Which player scored both goals in a 1-1 draw on his debut for Birmingham? This entry was posted in Birmingham City FC, Football, Website and tagged Birmingham City F.C., Football, Website on April 11, 2013 by Puddleglum.